OK, a lot gets under the radar . . . hadn’t noticed interesting reports since August by Izvestiya’s Aleksey Mikhaylov. The latest is Mikhaylov’s informative update on two Almaz-Antey factories planned to crank out missiles for the S-400 Triumf and S-500 Prometey. By 2014, large factories in Kirov and Nizhniy Novgorod are supposed to manufacture hypersonic 77N6-N and 77N6-N1 missiles for the S-400 and S-500. The missiles will have inert, kinetic kill warheads, and supposedly be capable of intercepting ballistic targets at 7 km/s. The Kirov factory will cost 41.6 billion rubles, the one in Nizhniy 39.5 (81.1 together). Almaz will get a credit of 25 billion from VEB; the Defense Ministry will invest 35 billion. One wonders where the balance comes from, and what the terms of this three-way partnership are. Almaz greatly needs a new production base to field missiles for its SAM launchers. It was planned in 2008, but the financial crisis prevented it. The military doesn’t want to repeat the S-400 experience. It remains armed with older, shorter-range 48N6 and 9M96 missiles. Since 2007 only seven battalions (3 and 1/2 “regimental sets”) of the S-400 (out of 56 planned) have been fielded. New missile production should coincide with serial production of the S-500 system (not later than 2014). It remains under development. However, Mikhaylov reports rumored sightings of Prometey prototypes at this or that test range. Over time, various officers and officials have claimed new, long-range missiles for the S-400 would be fielded in 2013, 2014, or 2015. President Medvedev’s December 8 decree . . . some appointments in VVKO. Colonel Viktor Musavirovich Afzalov, Commander, 4th Air Defense Brigade, relieved as Commander, 4th Aerospace Defense Brigade. General-Lieutenant Valeriy Aleksandrovich Bratishchenko, Deputy Commander, Air and Missile Defense Command, relieved as Deputy Commander, Operational-Strategic Command of Aerospace Defense. Colonel Andrey Gennadyevich Demin, Chief of Staff, First Deputy Commander, Air and Missile Defense Command, relieved as Commander, 1st Aerospace Defense Brigade, 1st Air Forces and Air Defense Command. Colonel Andrey Vasilyevich Ilin, Chief, 153rd Main Space Test Center. Colonel Anatoliy Nikolayevich Nestechuk, Deputy Commander, Space Command. General-Major Aleksandr Ivanovich Afinogentov, Chief of Staff, First Deputy Commander, Long-Range Aviation. A little additional on that westward-leaning VVKO . . . the 13 VKO brigades are only a part of VVKO, but here’s how they’re laid out. They’re numbered 1-12 and 14. Six are in the Western MD. One in the Southern. Three in the Central. And three in the Far East MD. 1st Aerospace Defense Brigade, Severomorsk, Western MD. 2nd Aerospace Defense Brigade, Khvoynyy, Western MD. 3rd Aerospace Defense Brigade, Kaliningrad, Western MD. 4th Aerospace Defense Brigade, Dolgoprudnyy, Western MD. 5th Aerospace Defense Brigade, Petrovskoye, Western MD. 6th Aerospace Defense Brigade, Rzhev, Western MD. 7th Aerospace Defense Brigade, Rostov-na-Donu, Southern MD. 8th Aerospace Defense Brigade, Samara, Central MD. 9th Aerospace Defense Brigade, Ob, Central MD. 10th Aerospace Defense Brigade, Chita, Central MD. 11th Aerospace Defense Brigade, Komsomolsk-na-Amure, Far East MD. 12th Aerospace Defense Brigade, Vladivostok, Far East MD. 14th Aerospace Defense Brigade, Yelizovo, Far East MD. 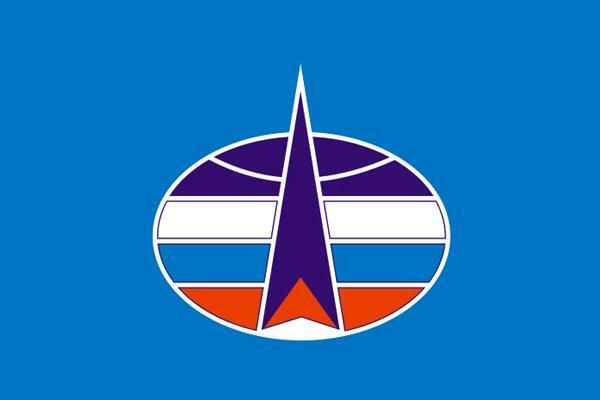 How Will They Represent VKO on the Space Troops Flag? VVKO faces west. And north . . . ok, northwest. Makes sense, that’s the direction those hypersonic missiles are coming from, right? Maybe, maybe not. Mil.ru, as is its wont, printed a little item on military preparations for the December 4 Duma election. It indicates 80 percent of 53,000 servicemen and civilian personnel of the new Troops of Aerospace Defense (VVKO) will vote [i.e. are based] in the Western MD (ZVO). The press-release says more than 150 of 171 polling places (88 percent) for VVKO bases, garrisons, and military towns are located in the ZVO. Space Troops weren’t very big, and they’ve gotten much bigger by swallowing as-yet unclear parts of the OSK VKO (the former KSpN or Moscow PVO District) and other Air Forces’ PVO units into the new VVKO. OSK VKO, in particular, was a large, westward-leaning formation. Still it’s surprising VVKO’s center of gravity has shifted so drastically to the west. One would have thought there’d be a substantial chunk of VVKO-controlled PVO in the Far East, or northeast, too. Didn’t have to wait long for this. This morning President Medvedev signed out the ukaz with appointments to command positions in the VKO Troops (VVKO). Kommersant’s source was mostly, but not completely, right. Valeriy Ivanov will be chief of staff, and Sergey Popov, the chief of air defense for the Air Forces, will move to VVKO to command its Air and Missile Defense Command. General-Lieutenant Valeriy Mikhaylovich Ivanov, Chief of Staff, First Deputy Commander, Troops of Aerospace Defense, relieved as Commander, Operational-Strategic Command of Aerospace Defense. General-Lieutenant Sergey Aleksandrovich Lobov, Deputy Commander, Troops of Aerospace Defense, relieved as Deputy Commander, Space Troops. General-Major Oleg Vladimirovich Maydanovich, Commander, Space Command, relieved as Chief, 153rd Main Test Center for Testing and Control of Space Systems. Colonel Konstantin Aleksandrovich Ogiyenko, Commander, 5th Air Defense Brigade. General-Lieutenant Oleg Nikolayevich Ostapenko, Commander, Troops of Aerospace Defense, relieved as Commander, Space Troops. General-Major Sergey Vladimirovich Popov, Commander, Air and Missile Defense Command, relieved as Chief, Air Defense, Deputy CINC of the Air Forces for Air Defense. There you have it. What looks like it will be a new service — VVKO — is born, and an old branch — KV — apparently will go away. More presidential paperwork on that is likely forthcoming. But today we’ve learned who’s in VVKO’s head shed, and that its two major components will be, not surprisingly, the Space Command and Air and Missile Defense Command. Team VKO is taking shape according to Kommersant. Last fall, President Medvedev, of course, ordered the establishment of a unified VKO. Since then, it’s become clear that Space Troops (KV) Commander, General-Lieutenant Oleg Ostapenko would head it. And KV will be the base for the new service [vid or вид]. According to the Genshtab plan, VKO will unite all PVO and PRO systems. And it will control the current KV, Moscow-based OSK VKO, and PVO units from the Air Forces. The paper’s Defense Ministry source says VKO’s top officers have been identified, and paperwork was sent for Medvedev’s signature last month. So expect a decree soon. General-Lieutenant Valeriy Ivanov will be in charge of PVO and PRO for VKO. He’s a 50-year-old career SAM officer, who commanded PVO divisions or corps in the Far East, Volga, and Moscow MDs. From 2007-10, he commanded the Far East’s 11th AVVSPVO. He became commander of the OSK VKO about this time last year. General-Major Oleg Maydanovich is a 47-year-old KV missile engineer who will head VKO’s space monitoring. He has long service at Plesetsk and Baykonur, and has been chief of both. He’s now chief of Russia’s space systems testing and control center. Colonel Andrey Ilin will be chief of the VKO’s command and control post at Krasnoznamensk. He served many years at the space tracking post in Shchelkovo. He’s been chief of staff at Plesetsk since last year. The press continues picking up tidbits on the formation of Aerospace Defense (VKO). In contrast to some recent information, Kommersant said yesterday General-Lieutenant Oleg Ostapenko and his Space Troops (KV) have the upper hand in carrying out President Medvedev’s number one task from last year’s Federal Assembly address. Meanwhile unofficial Air Forces (VVS) representatives are still confident VKO will be subsumed in the VVS (in Air Defense or PVO specifically). But normally well-informed military journalists have consistently maintained KV will get the mission and organization. And General-Lieutenant Ostapenko has publicly stated he already has it. We can’t forget that General Staff Chief Nikolay Makarov at one point suggested the Genshtab might take KV and PVO and establish VKO under its own control. Kommersant’s most recent information says coordination of a candidate for chief of VKO has begun, and KV Commander Ostapenko is the frontrunner. VKO will be established on the foundation of KV, according to the business daily. Three VKO command and control posts will be established – in the VVS Glavkomat in Zarya (Balashikha, long PVO’s headquarters), in Krasnoznamensk (space monitoring’s headquarters), and in KV’s Moscow headquarters. Kommersant’s information suggests VVS Commander, General-Colonel Aleksandr Zelin’s future hasn’t been decided and he could retire (or be retired). Krasnaya zvezda reported that, in his recent press-conference, Zelin indicated OSK VKO (the old Moscow Air Defense District) will join a VKO Command including both KV and the VVS’ PVO and PRO Command on December 1. The path seems pretty clear for KV to take charge of Russia’s VKO, but the bureaucratic struggle for it probably isn’t over. There’s still time for surprises before the December 1 deadline.